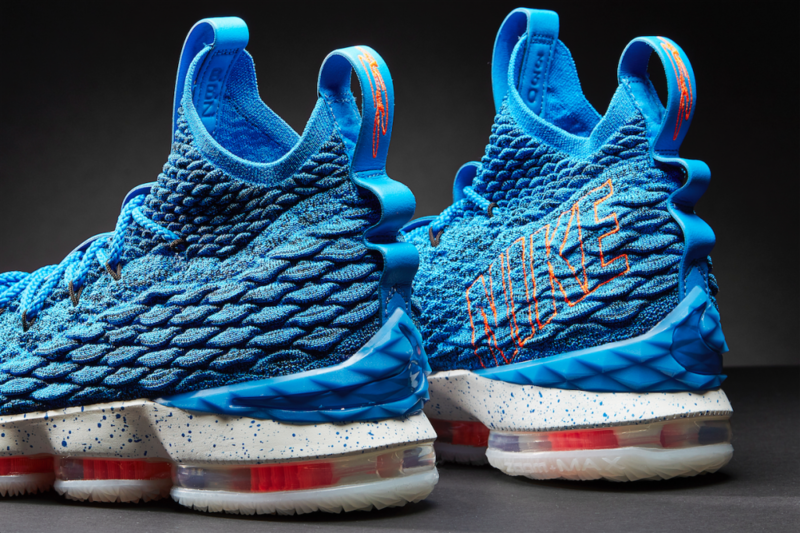 The next LeBron XVI has the colorway telling the story of the King’s unparalleled ability to both play and guard all five positions on the court at any given time. 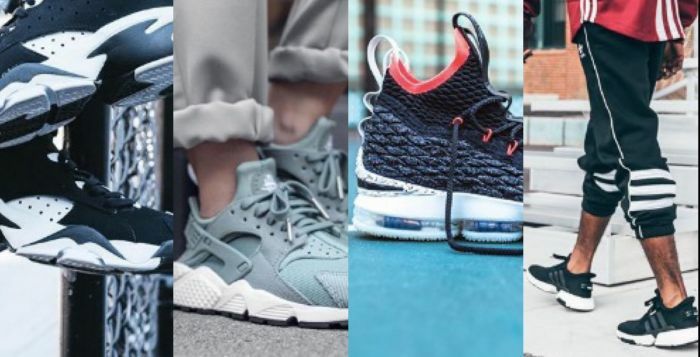 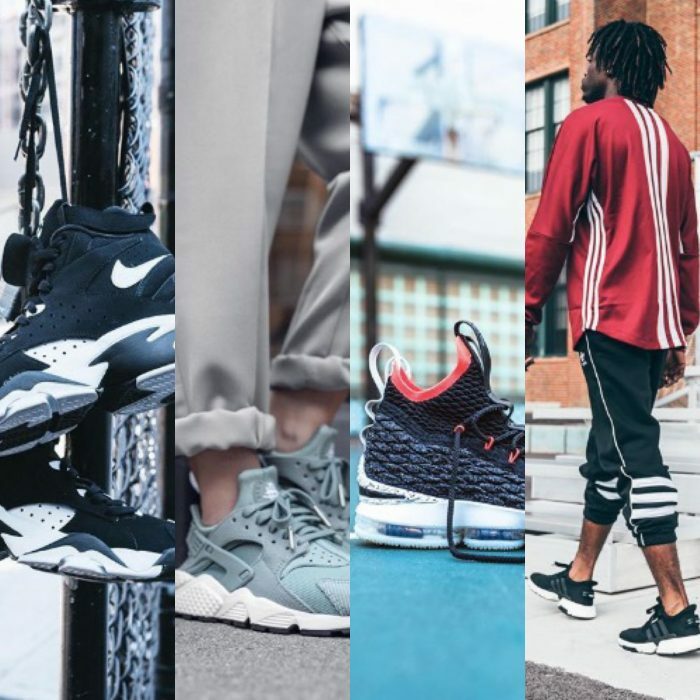 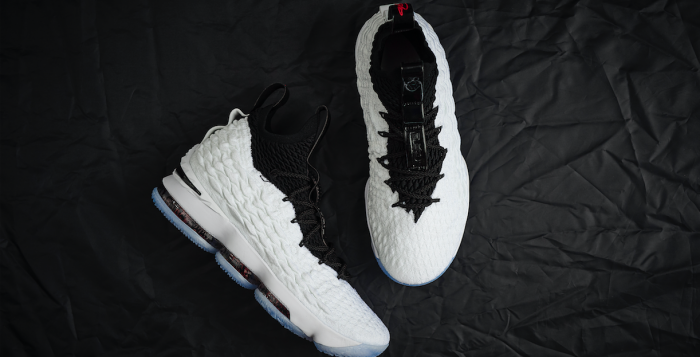 With this in mind, the first entrants of LBJ’s 16th signature sneaker line include elements from the “1 Thru 5” selection and represent one of the five positions. 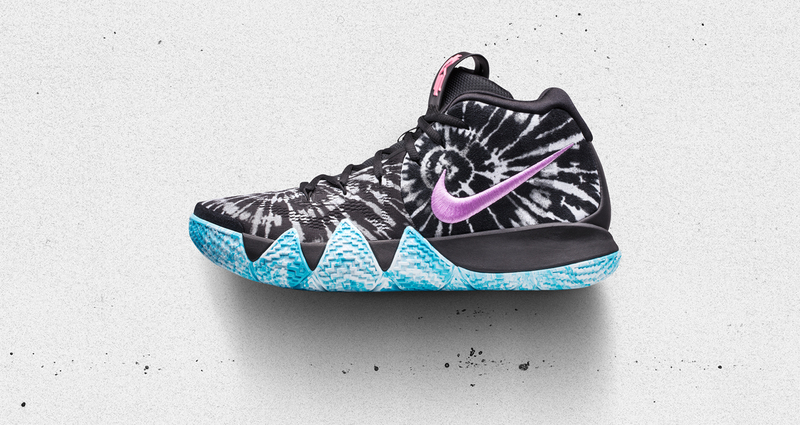 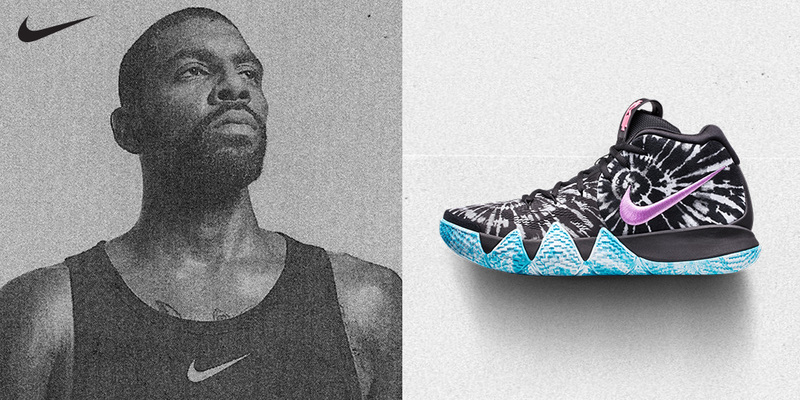 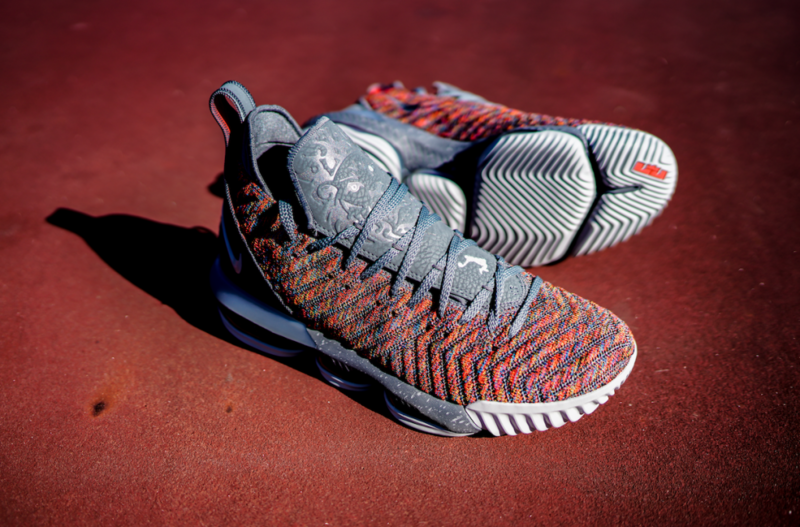 The multi-colored version that you see here comes equipped with a ’20 20′ monicker and pays homage to LeBron’s incredible on-court vision as well as his passing ability when he is bringing the ball up the court as a point guard. 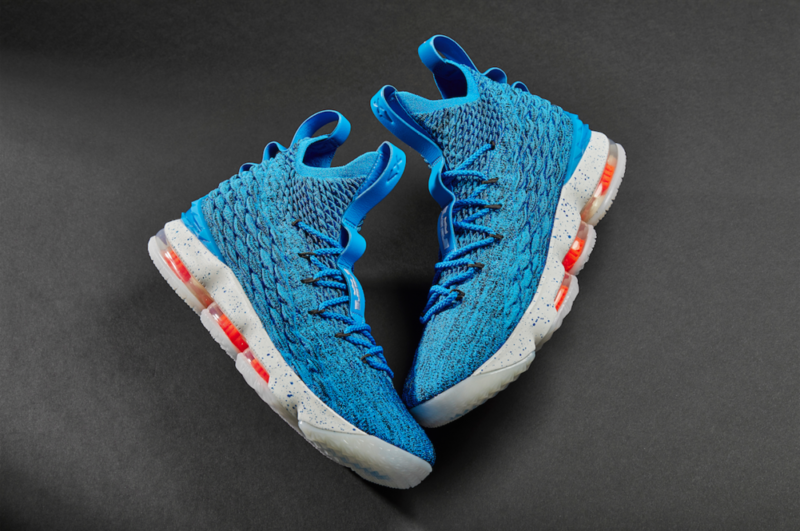 Other than its dazzling Flyknit upper, it features a translucent dunkman logo on its outsole, anther play on James’ esteemed vision and ball movement. 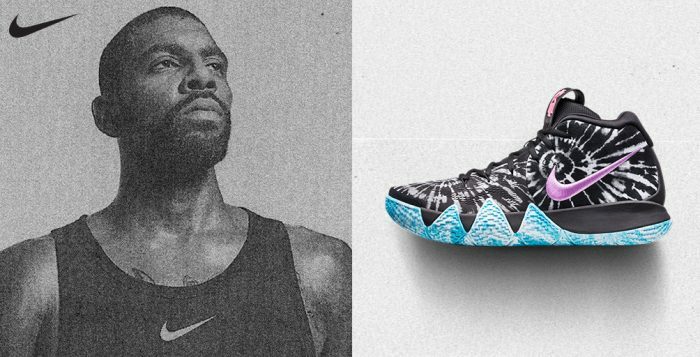 A speckled grey sole unit, throat, and heel, complete the color scheme while two ferocious lions take shape on its tongue. The Nike LeBron XVI flexes some more innovative muscle in the new Battleknit 2.0, a super-durable upper that blends elements of knit and wovens to create an incredible forcefield around LeBron’s feet. 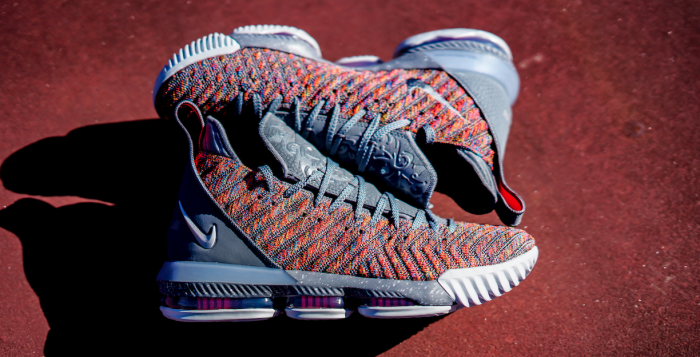 According to Jason, Nike had to create new machines from scratch just to produce this specific type of knit, which suggests that we’ll see more of this in future Nike LeBron iterations. Gone is the ankle cuff from the previous model, but the effective height of the shoe is the same. 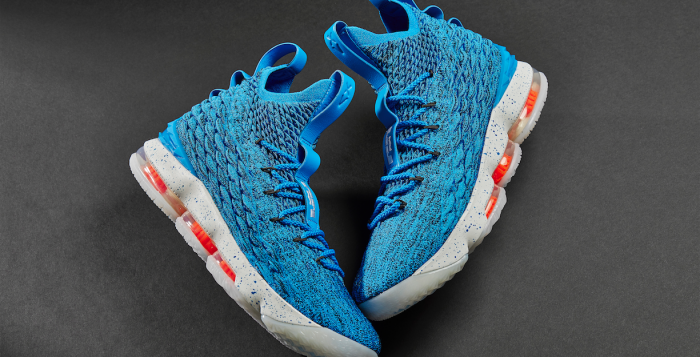 The full-length Max unit has been slightly modified to feature an outrigger to further support the slightly lower height of the shoe. 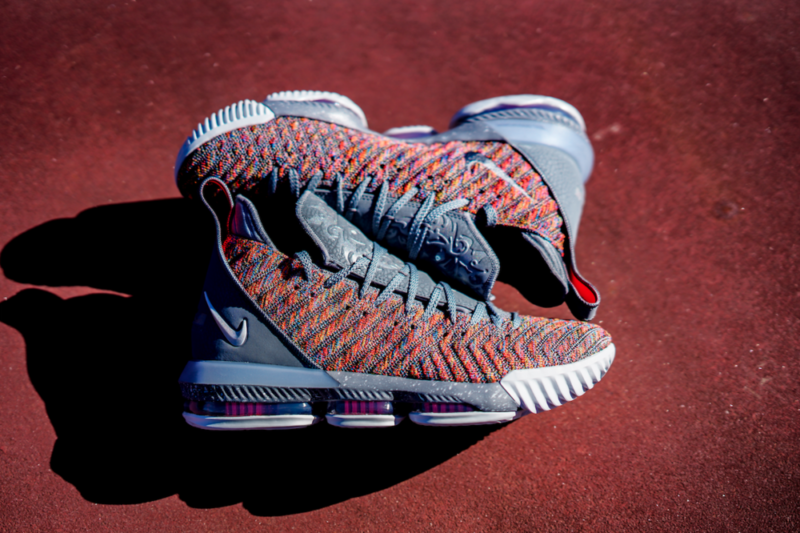 With ‘Brons game changing every year, his shoes are designed to keep up and evolve with the superstar. 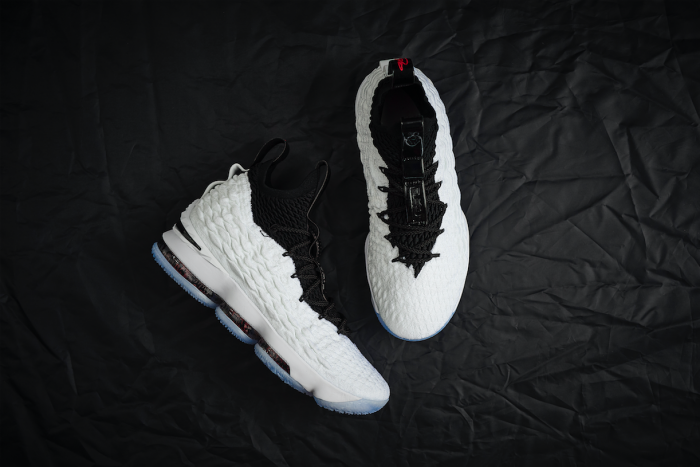 Pick up your pair of the Nike LeBron XVI ‘20 20’ on October 27th at Finishline.com.